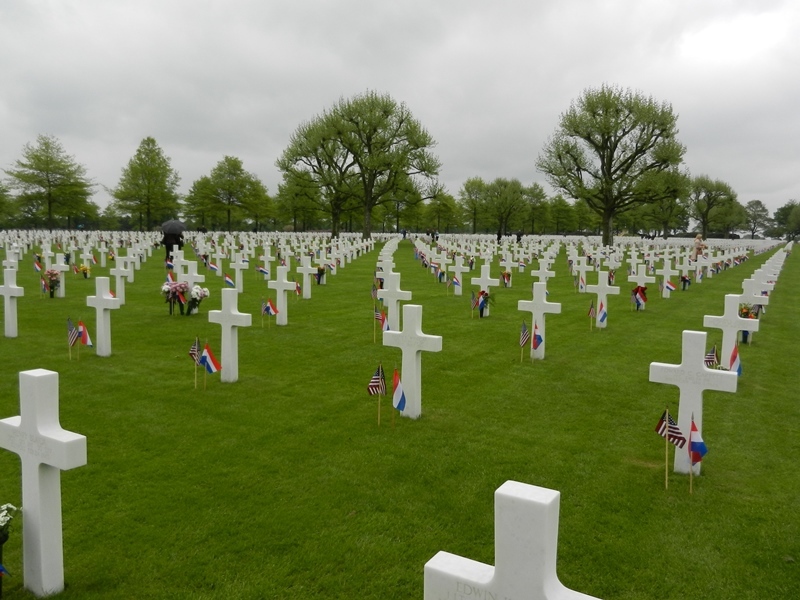 On Sunday May 26, 2013, the soldiers resting in the American cemetery in The Netherlands were remembered and honored by American and Dutch authorities, American family and descendants, Dutch who adopted their graves, and all others interested in the efforts made by young American men to liberate Europe from inhumanity and totalitarianism. In all the speeches held on Margraten‘s Memorial Day one fact was remembered several times – the fact that the young Americans who found their last resting place in the Dutch countryside gave their lives for the freedom of people they did not know, living in a part of the world they had never been and knew almost nothing about. For people of my generation, and I believe for the majority of young people today, it is quite unimaginable to get killed while helping other people in a different part of the world. Why should anyone do such a thing? Why leave your loved ones, your hometown and your country on a risky, maybe deadly trip to a war region? Most of the young men who came to Europe undoubtedly wanted to see the continent, maybe hoped for some adventure, and probably didn’t fully realize the horrors they were going to experience. But underneath these “normal” feelings for boys of their age, there was a strong belief in democracy as the world‘s most righteous government and freedom for each individual in general. They wanted to free Europeans from a dictatorial system that was killing people by thousands just for being different. And they lost their own lives by doing this. 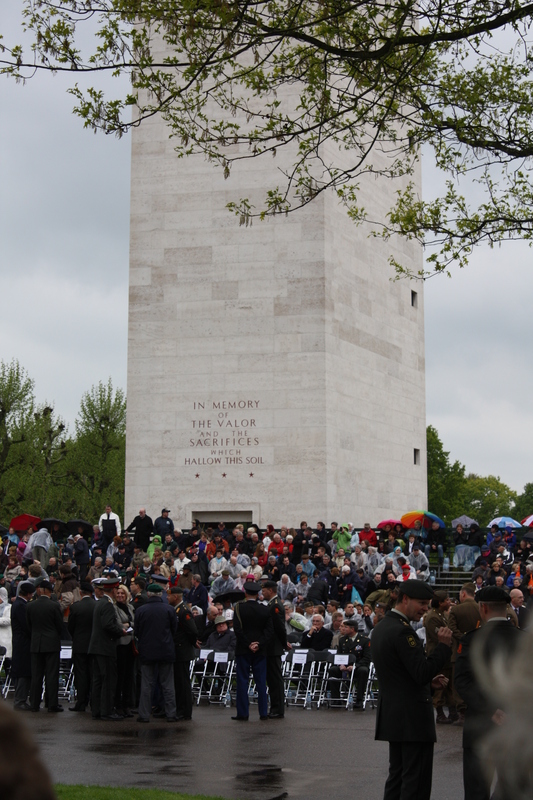 For me it is absolutely clear, the 8,301 Americans buried in Margraten and the 1,722 memorialized on its Wall of the Missing are heroes in the true and only sense of the word…a hero is someone who gives his or her life for the sake of another human being. They made the ultimate sacrifice. Plot D, the final resting place of four of the eight Citadel Men at Margraten. Maurice Heemels (1971, Melick, Netherlands) is historian and teacher-trainer at the Fontys University of Applied Sciences in Sittard (Fontys Lerarenopleiding Sittard, The Netherlands), where future teachers are being trained. He is writing his PhD dissertation on the burial rites and cemetery of Roermond between 1870 and 1940. Heemels is a founding member of the board of The Citadel Memorial Europe Foundation.